CAT Admit Card 2018: Common Admission Test (CAT) registration has started from 8 August, 2018. Candidates who want to pursue MBA can apply for CAT 2018. After closing the registration process, the official authority of IIM, Calcutta will provide the admit card download link on the official website. The link will be active until 25 November. Candidates who will submit their application form will soon be issued CAT Hall Ticket to them. The admit card is very necessary document as it contains crucial details like candidate’s identification, exam date, day & timing, test center & its address, roll no, application/ registration no. etc. It is mandatory to bring the admit card to the exam center as the invigilator will verify it and then you will get permission to enter the exam center. 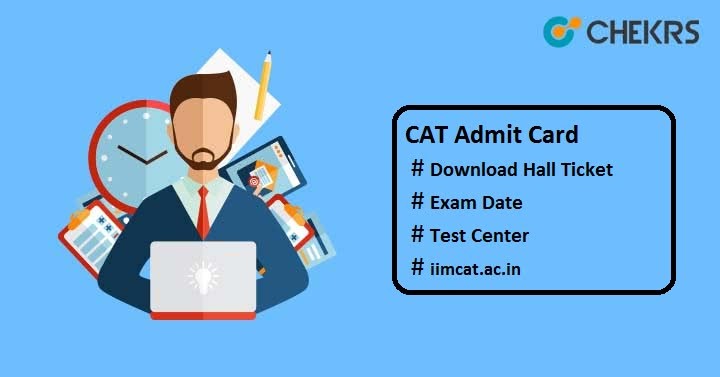 Here we have discussed the complete information about how to download the CAT 2018 Admit Card, exam date, admit card release date etc. Candidates can follow the given instructions to access their admit card through online mode. Then, “CAT 2018 Admit Card” will appear on the screen. Save the admit card and take the print of it for further references. Once admit card is downloaded, you must verify the details printed on it. In case of any discrepancies, you may contact to the concerned board/authority. Candidates need to carry one valid id such as Aadhaar card/ Voter Id card/ Driving License/ Passprot/ PAN card etc along with the CAT 2018 Hall Ticket. The hard copy of the hall ticket should be clearly visible. Affix your passport size photograph on the space provided there. Report to the exam center at 7:30AM for forenoon session and 1:00 PM for the afternoon session. Do not bring any electronic gadgets to the exam center. Keep preserve your admit card till the end of admission process.